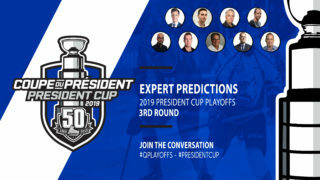 While the memory of last year’s first-round playoff loss still stings, Serge Beausoleil has it in perspective. 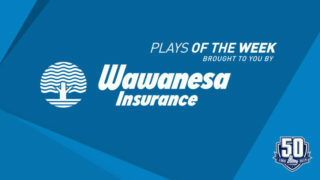 The head coach and general manager of the Rimouski Océanic believes valuable lessons were learned in the seven-game setback to the Moncton Wildcats. Much of that maturity will come from the back end. 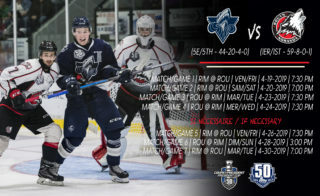 Overage defenceman Charle-Edouard D’Astous led Rimouski’s defence corps with 18 goals and 56 points. The fourth-year veteran is complemented by a supporting cast that includes returnees Jordan Lepage and Christopher Inniss, along with Tampa Bay Lightning prospect Radim Salda (10-31-41). Salda, acquired in a trade with the Saint John Sea Dogs, appeared in 62 games last season as a rookie. The long campaign in Saint John was at least interrupted when the Czech blue-liner represented his country at the world juniors in Buffalo, N.Y. The Océanic surrendered the least amount of goals last season (174), thanks in large part to freshman netminder Colten Ellis. The kid from Cape Breton posted a league-leading 33 wins and six shutouts while finishing second in goals-against average (2.35). His efforts landed him on the league’s second all-star and all-rookie teams, and he won the award for defensive rookie of the year. Those accolades have set the stage for his draft year. 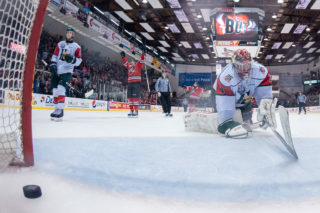 Three other goalies have seen pre-season action, including Carmine-Anthony Pagliarulo (1-1, 2.72 GAA in three games with Rimouski last season), 2018 draft pick Jonathan Labrie and 2017 draft pick Raphael Audet. The Océanic enter the season armed with a pair of offensive weapons who produced a pile of points as rookies in 2017-18. 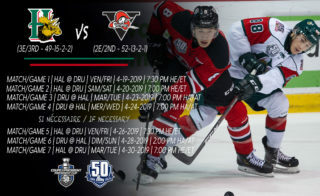 Alexis Lafrenière, last year’s CHL Rookie of the Year, notched a team-leading 42 goals and 80 points, while Calgary Flames prospect Dimitry Zavgorodniy tallied 26 goals and 47 points. The two should tear it up again as sophomores. Carson MacKinnon (13-22-35), Mathieu Bizier (10-14-24) and Anthony Gagnon (10-13-23) are also poised to contribute up front. 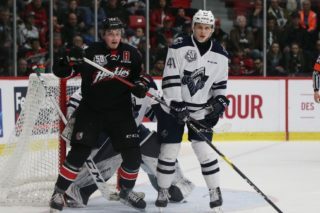 Rimouski made two trades at the most recent draft to acquire 20-year-old forwards Olivier Garneau and Jimmy Huntington. Garneau, acquired from Quebec, brings offence (23-27-50) and leadership. Huntington appeared in all 68 games with Victoriaville last season, reaching career highs in goals (18), assists (40) and points (58) while earning an invitation to the Winnipeg Jets’ camp. The overagers will help keep their younger teammates focused and ready in hopes of avoiding another first-round playoff exit. Another deal at the draft saw Rimouski add size up front with the acquisition of Boston Bruins prospect Cédric Paré (13-24-37) from Saint John.